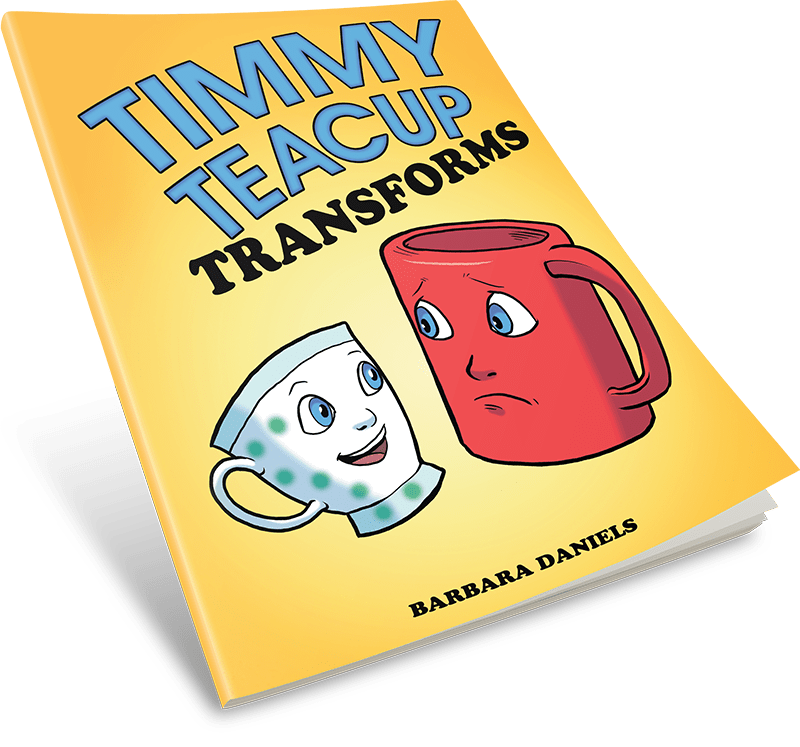 Timmy TeaCup Transforms follows a small white teacup with green spots. He lives with his mom, grandma, and great-grandma on an old piecrust table with lots of other teacups—all of them much fancier than him! 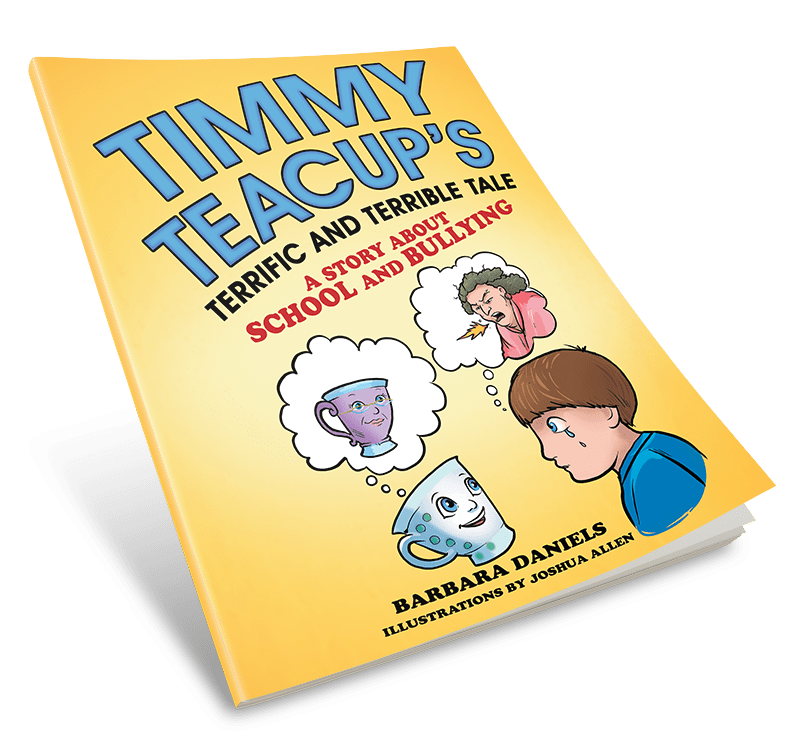 But Timmy wishes to be something different: he wants to be a hot chocolate mug—sturdy and strong and having lots of fun with the children of the house instead of the little old ladies who visit and drink tea from the teacups. One day, Timmy gets his wish; he transforms into a big, strong hot chocolate mug. He is thrilled! But as he begins to experience life as a mug, he realizes that he still feels like a thin, fragile teacup on the inside. Maybe being a hot chocolate mug isn’t what he wants after all. Unfortunately, Timmy has heard Stevie, one of the human children, coming home from third grade crying almost every day! When Timmy & his friends are given an assignment to “write about something important”, Timmy decides to write about what is happening to Stevie.